Close your eyes and picture this – You are wandering through the picturesque hillside, surrounded by scenic woodland and panoramic views of the famous Pendine Sands. Sound like the perfect dream? 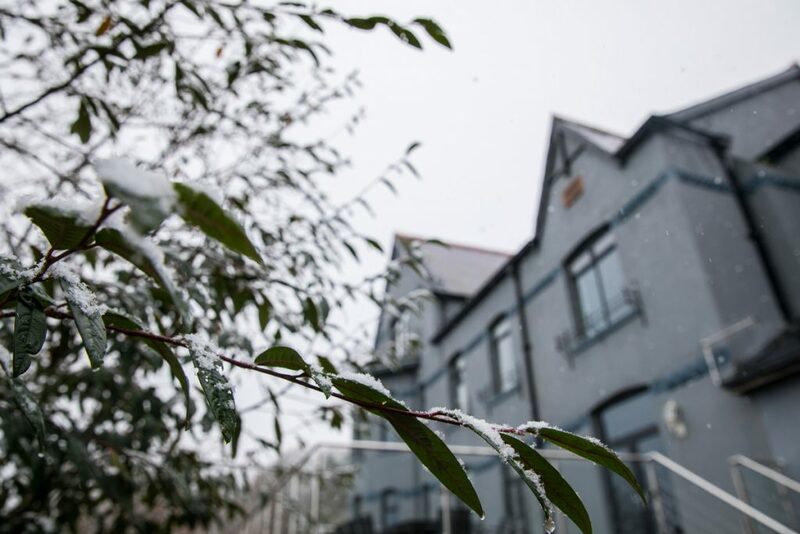 Pendine Manor & Apartments guarantee an experience unlike any other. Whatever your adventure or party size, all can relax and enjoy the Pendine district. The manor sits right on the cusp of Laugharne – you are in the perfect location for exploring beaches and enjoying the magnificent countryside of Carmarthenshire. It is the ideal spot for family holidays or those with wanderlust and desire just to get away and unwind and immerse themselves in the beautiful atmosphere. The manor offers easy access to the Pembrokeshire National Park as well as Carmarthenshire. You are merely half an hours drive from beautiful West Wales spots like Tenby and Saundersfoot. The adventurous can stroll over to the resort and discover the seven miles of golden sand, scattered with cafés and fantastic traditional pubs. You couldn’t be in a more beautiful place. You are only a short drive away from the historic town of Laugharne, famously the birthplace Welsh poet Dylan Thomas. There you will be able to visit Dylan’s iconic boathouse and historic castle, which lie peacefully on the mouth of the stunning River Taf. 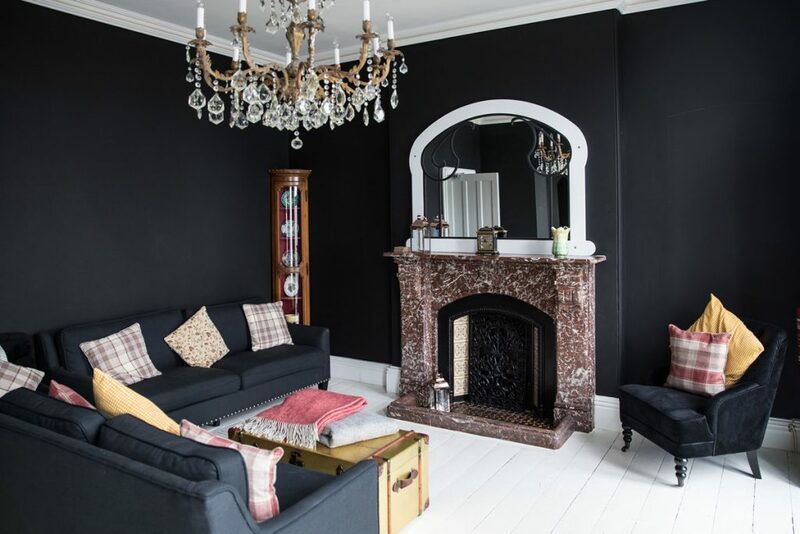 The large, detached Victorian Manor House boasts enviable, unobstructed sea views. The family home has been sympathetically restored and renovated to retain its original charm and character. It is an unforgettable experience for visitors looking to explore the beautiful coast of West Wales. The property is bursting with authentic style; it displays classic wooden floors, original stone walls and beams, not to mention the stunning feature fireplaces. As you approach the cobbled courtyard and wander through the archway, Pendine Manor exhibits its grandeur. The large hallway on the ground floor leads you into an open plan dining room and kitchen where the whole family can relax and unwind with further rooms on the ground floor. The grand living room is inclusive of its original wooden flooring, two focal feature fireplaces, and boasts a large terrace with sublime sea views. The manor house has been thoughtfully furnished to an opulent standard. The master suite comes complete with a balcony that showcases the sweeping sea views, and an elegant fireplace. The room is a spacious en-suite complete with a super king size sleigh bed, a perfect place to kick back and relax after a day of exploration. In the evening, you can watch a movie in your very own cinema room, perfect to keep the children and family entertained. The manor house boasts a separate games room equipped with a pool and football table, a great distraction if your unfortunate enough to have inclement weather. Outside, guests can enjoy the large veranda, along with a luscious garden and patio area. The perfect spot to relax and unwind, the guest experience is to watch the sunset over the idyllic bay, while enjoying an alfresco barbecue. Whatever your desire, your holiday is guaranteed to be a success! Any day out will be thoroughly enjoyable, and the joy doesn’t stop when you return to such an exquisite home. Memories will be made that can be treasured for a lifetime.